THIS 3 FAMILY IS LOCATED ON THE CORNER OF JANE ST. AND BROOKS ST. IT OFFERS ALL NEW KITCHENS WITH QUALITY CABINETS, GRANITE COUNTER TOPS, NEW APPLIANCES AND CERAMIC TILE FLOORS. THE NEW BATHROOMS HAVE CERAMIC TILE TUB SURROUNDS AND FLOORS W/QUALITY VANITIES, AND NEW FIXTURES. LIVING ROOMS AND BED ROOMS ALL HAVE NEW FLOORING. THE FIRST AND SECOND FLOOR APARTMENT HAVE THREE BEDROOMS. THERE ARE TWO BEDROOMS PLUS A REALLY LARGE SPARE ROOM IN THE THIRD FLOOR APPARTMENT. 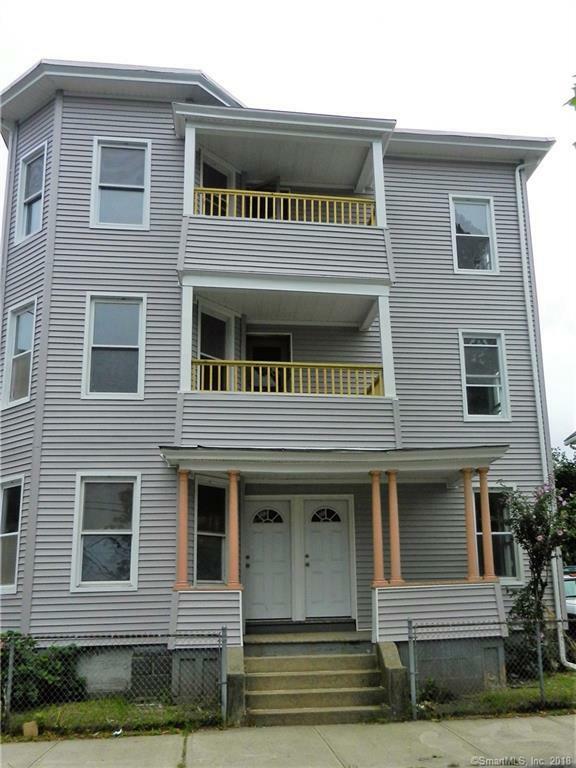 THE HOME HAS NEW VINYL SIDING, NEW GAS FURNACE, AND SEPERATE UTILITIES FOR EACH APPARTMENT. PERMITS WERE PULLED TO DO ALL OF THE WORK INCLUDING THE PLUMBING AND ELECTRIC. THE DRIVEWAY IS WIDE AND CAN ACCOMODATE 4 CARS PLUS THERE IS AMPLE PARKING ON THE SIDE ( JANE) STREET. Directions: East Main To Corner Of Jane St And Brooks St.